My relationship with pizza is never smooth sailing. It always start with it luring me with its enticing aroma, demanding unwavering attention to admire its glorious toppings. 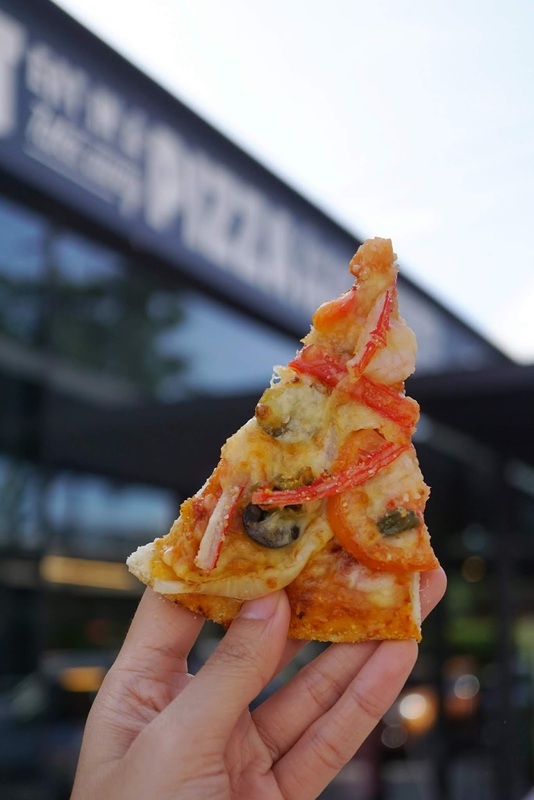 Each bite would give me this burst of happiness, like a kid seeing her crush at the park. But alas, all things come to an end. And in this case, when I get to the crust and it was the last slice in the box. But things might be different this time around. 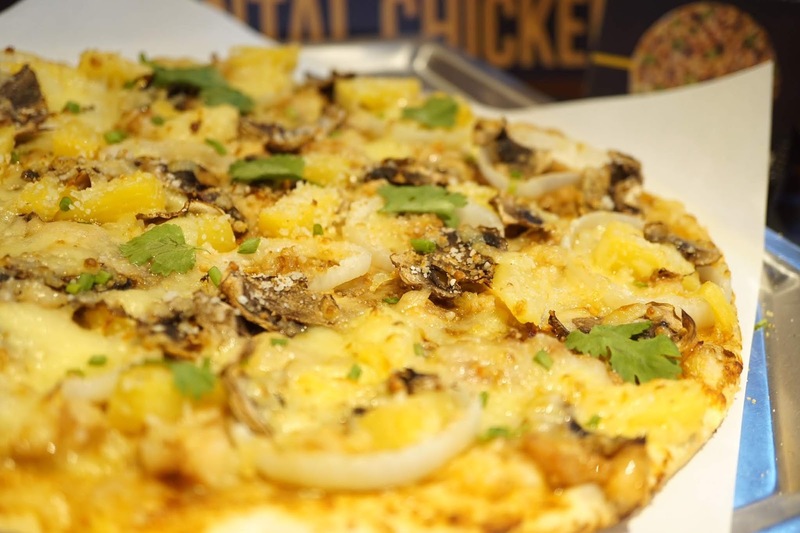 Yellow Cab launched five new mouthwatering flavors last September 5 to add to its roster of amazing pizzas. 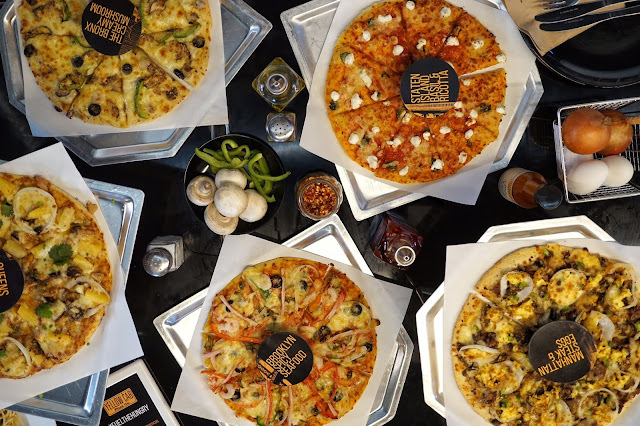 Highlighting the essence of New York's famed boroughs, Brooklyn, Bronx, Manhattan, Queens and Staten Island, expect these new flavors to be complex yet well put together. 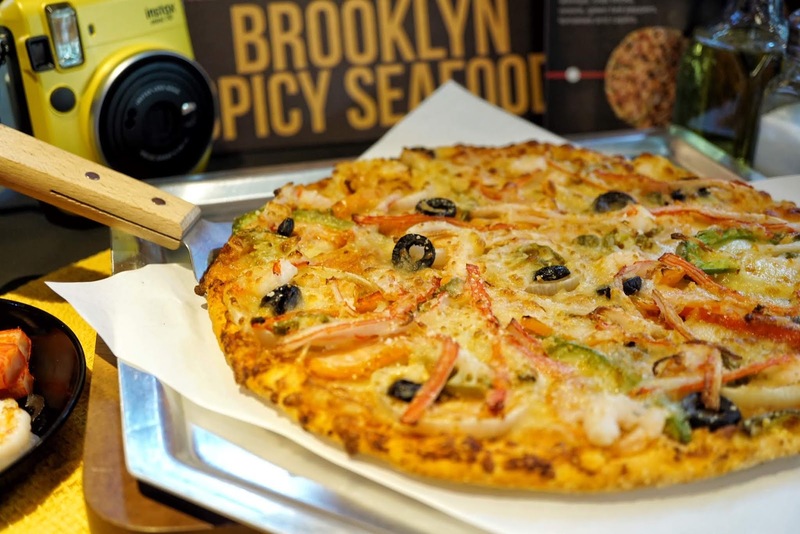 Brooklyn is represented by Spicy Seafood Pizza, a beautiful mix of red, orange, green, white and black colors. 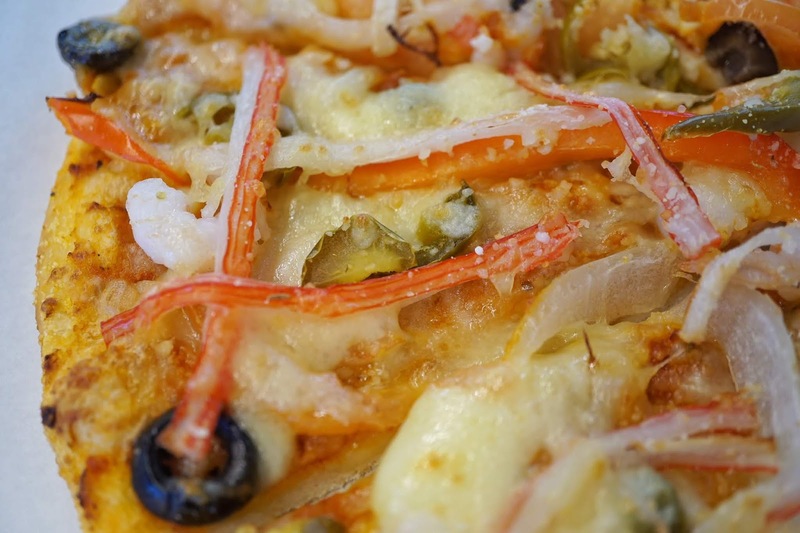 Generously topped with shrimps, crab sticks, onions, green bell peppers, tomatoes and Jalapeño peppers, this dish had that slight sweet flavor of seafood which was balanced by the fresh vegetables and spice from the popular chili. Fret not if you have low spice tolerance as this flavor is not ridiculously spicy. I finished a slice without having to gasp for water. Oriental Chicken Pizza depicts the highly diverse Queens. Known as the second most populous borough in New York City, Queens has no racial or ethnic group that holds 50% majority. 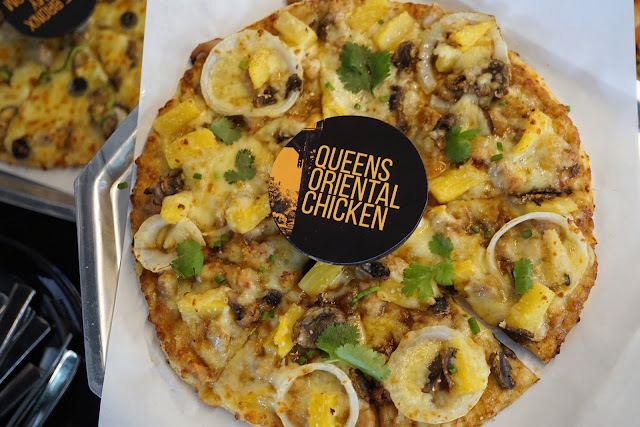 And this fact is beautifully captured by the flavor's use of chicken, mushrooms, onions, pineapple, spring onions, cilantro and the delightful sweet and tangy Oriental sauce base. All ingredients blended together, each evident yet not overpowering the rest. 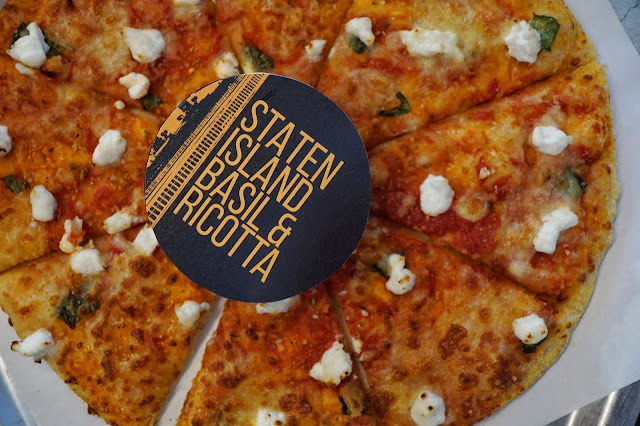 Staten Island, the suburban community known for its ferry commute to the heart of New York, is represented by Basil & Ricotta Pizza. This New York borough, favored by Italian community, is a lot more laid back than the other boroughs. 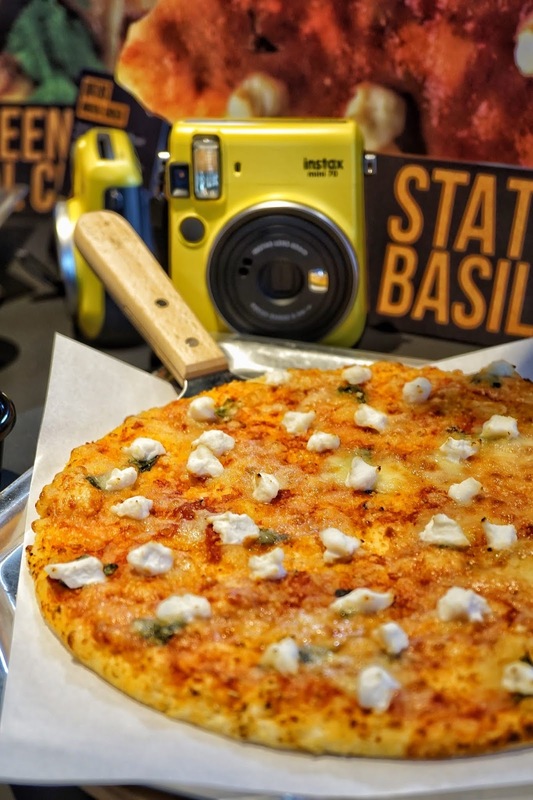 And the simplicity of Basil & Ricotta captures such lifestyle very well. 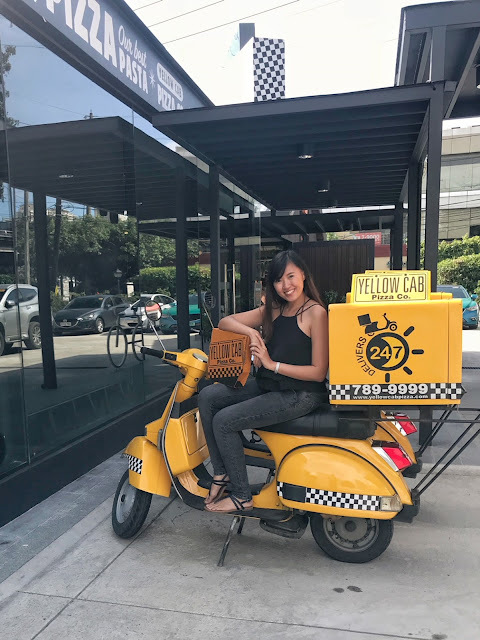 But note that simple doesn't mean boring or bland as the bold flavors of the two key ingredients sure makes you keep wanting to grab another slice. Steak & Eggs Pizza was a crowd favorite during the media event. 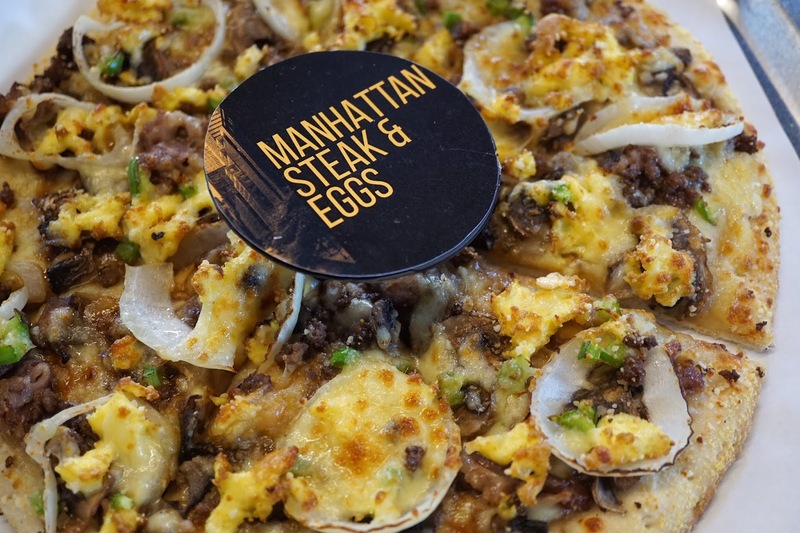 The use of steak and eggs were apt to describe the upscale Manhattan. 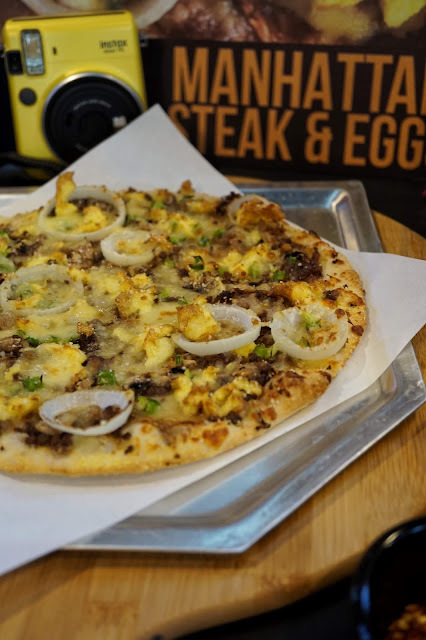 Expect a beautiful blend of sweet and savory flavors with burst of earthy taste with the steak strips, eggs, onions and bell pepper. Add a bit of hot sauce or chili flakes to give it more taste dimension. 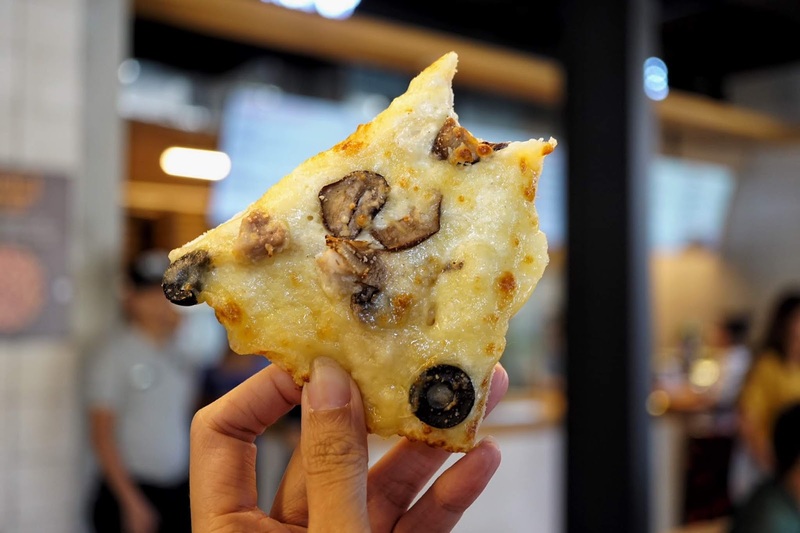 My favorite from the bunch was Creamy Mushroom which represents the Bronx. 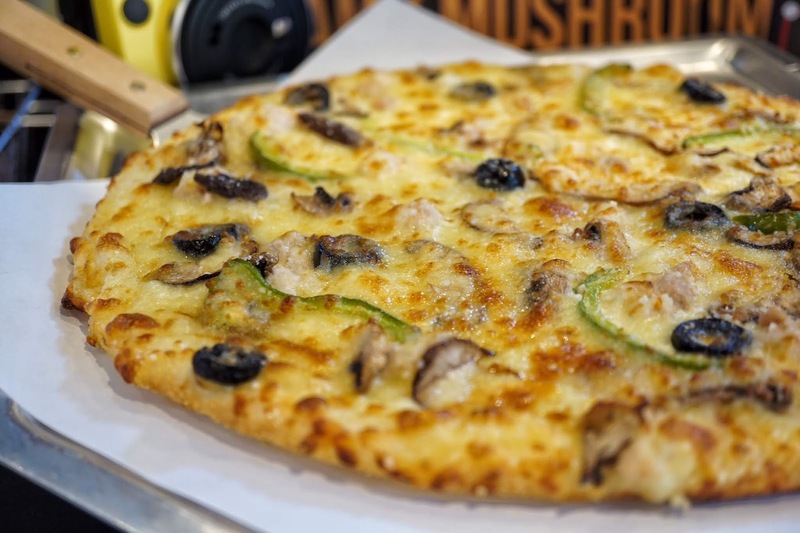 Do not be fooled by its look as this white sauce based pizza is oozing with bold flavors. Each bite would give you a strong taste of mushroom, chicken, olives and bell pepper which blend well together. If you're a fan of carbonara, you'd definitely love this flavor. 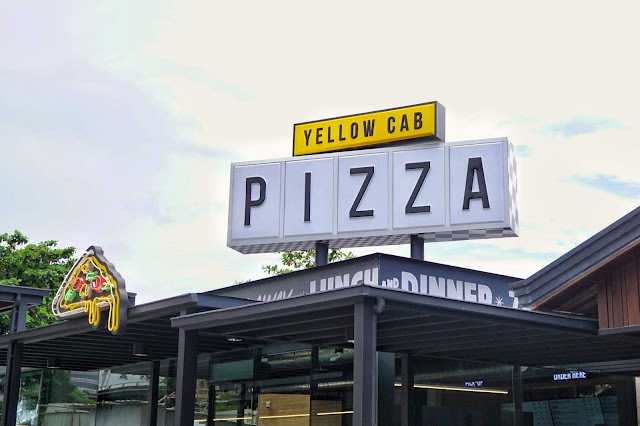 To cap our meal, we enjoyed Yellow Cab's underrated ice cream. I went with matcha which was really good! 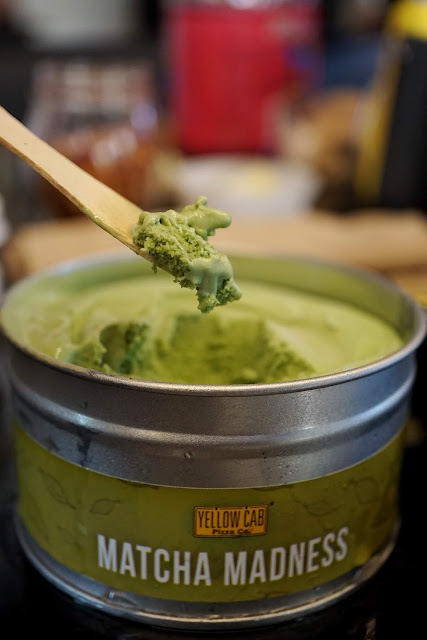 I usually stick with chocolate but I had no idea that its matcha's legit! I'll definitely grab more soon! The new flavors sure made me have a better relationship with pizza. Instead of having a bitter good bye, I am now looking forward to the next time I get to have my favorites in my hands again. Which reminds me, it'll be in two days! Yellow Cab's 5 Boroughs Pizza flavors are priced at PHP499 (10"), PHP759 (14") and PHP999 (18") and are available until January 31, 2019 in all Yellow Cab branches nationwide.